IMAGINE CIRCUS is a contemporary circus booking and production company providing both small scale performances and large scale shows that feature cirque-style entertainment, aerial arts, acrobatics, fire, flow arts, theatrics, dance, music, costuming, makeup, and creative props and apparatuses. Our performances are tasteful and elegant, yet playful and magical, revealing beautiful imagery and sights that please the senses. We are fully insured and equipped to offer customized stage shows from 3 to 90 minutes as well as interactive, ambient, and roving entertainment. 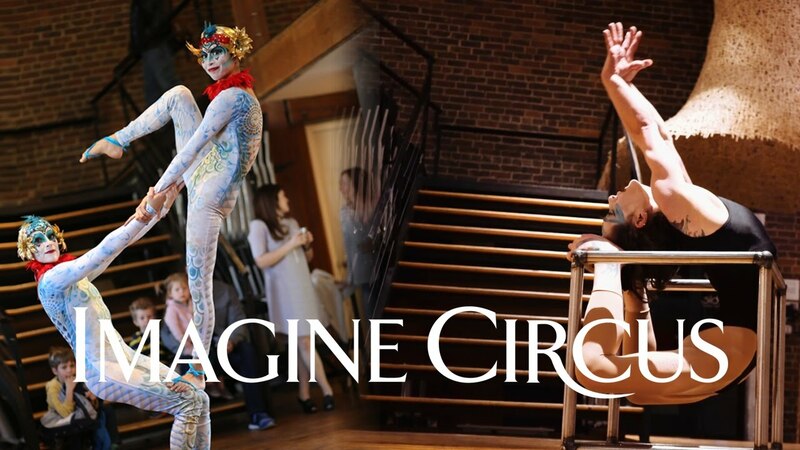 Imagine Circus was the highlight of our event! 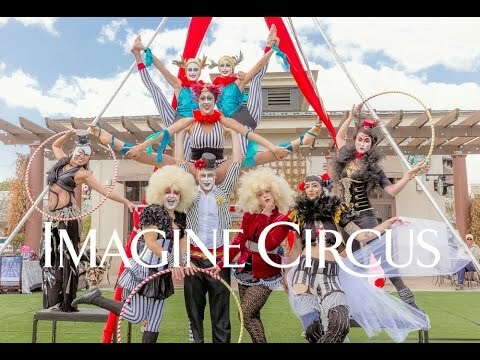 The Imagine Circus team joins us for our 33rd annual gala and stole the show! They were the perfect addition. They out performed my wildest imagination and their performance is still the talk of the town amongst our patrons. We enjoyed having Tik-Tok perform as a 'body-sack-dancer' at our annual fundraiser, The Muse Masquerade, a fundraiser for The Carrack. She was extremely talented, punctual, and professional and wowed our guests with this innovative act. And, working with Imagine Circus, arranging the booking, was extremely easy--they are very friendly and easy to work with. Kerry, thanks for the great review. We were thrilled to be a part of such an amazing and artistic event and would love to offer you performers for your future events. Empowering Youth with Amazing Acts! Katie and Kaci's acro shows were incredible. To see two women holding each other up is very empowering- especially for girls to see. I was impressed by the whole production that they came with. Top notch costumes, makeup, and always kind and professional. The best of the best! Thank you Cristal Fox! We love being part of your event and sharing our art form with the community! Great even for small events! We hired Adam to come and entertain at our ribbon cutting & open house. Being a new business (Downtown Escapes in goldsboro) we didn't have a huge budget to have multiple performers. But he was definitely the hit of the party! We loved how he did stilts then transitioned to other activities. And he was amazing with kids. Highly recommend Imagine Circus!!! Amazing performers that made a lasting impression! 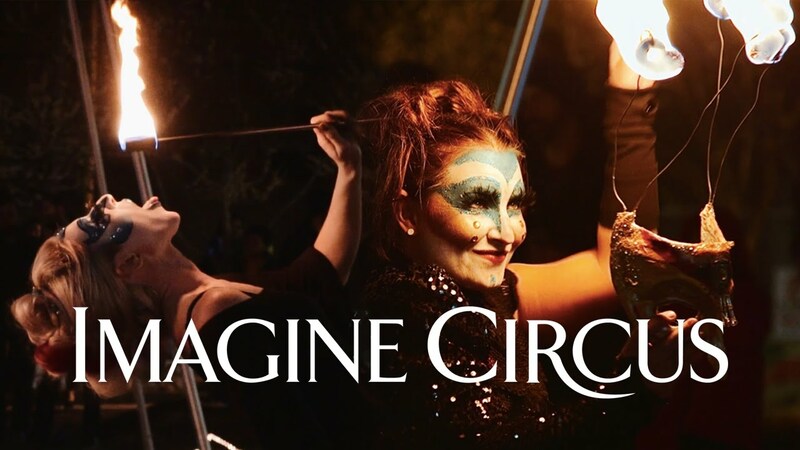 We had the wonderful opportunity to work with Imagine Circus at the Soundside Live Sunset Concert Series in Nags Head, NC. We were challenged by our local visitors bureau to produce a family friendly outdoor concert series with additional entertainment. Imagine Circus performers, despite treacherous weather conditions, entertained our crowd between sets of live music helped make sure our patrons did not leave. Liz and Katie were just such a joy to work with. They were able to adapt to changes in weather, always with a smile on their faces and those smiles were infectious and spread to everyone involved. We can't wait to have them back! Positive attitudes, smiles, professional communication, follow up emails, incredible costumes, well rehearsed performances, FLEXIBILITY, and fun! What more could we ask for? Imagine Circus BLEW US AWAY at LEAF Festival. Top of my list for talent to book. Get them while you can- they will take your event to another level. I hired this troupe for our library's summer programming. They were a hit and truly inspired the children. It was delightful to see the kids try to emulate the performers. Imagine Circus offers unique skills and creativity. I found them to be professional and dependable. I have seen these performers many times and they always put on an impressive and entertaining show. Hiring them for my party was definitely the right choice. The customer service and level of professionalism I experienced was unparalleled to any other performance company or group I have previously worked with. I will be hiring Imagine Circus again. Dazzling Performances. Memorable Moments. Extraordinary Events. Imagine Circus performers will entertain your guests and transform your event into a an unforgettable experience! We customize any aspect of the performance to match your unique theme, color, and style. Book individual or multiple acts for crowd roving, interactive performance, stage shows, ambient entertainment and photo opportunities. IMAGINE CIRCUS is a contemporary circus booking and production company providing both small scale performances and large scale shows that feature cirque-style entertainment, aerial arts, acrobatics, fire, flow arts, theatrics, dance, music, costuming, makeup, and creative props and apparatuses. Our performances are tasteful and elegant, yet playful and magical, revealing beautiful imagery and sights that please the senses. We are fully insured and equipped to offer customized stage shows from 3 to 90 minutes as well as interactive, ambient, and roving entertainment. Imagine Circus is conveniently based in Raleigh, North Carolina, and actively works with companies and event planners all over the east coast from New York City to Orlando, though we are happy to travel anywhere in the world! With over 30 years collective experience, co-owners Katie, Kaci, and Liz, have collaborated to create this professional cirque-inspired performance company, where performers can connect with potential clients. We simplify the process of finding and booking professional performers so that more people can enjoy circus art and entertainment. We are growing our business in a way that is sustainable and feels good to both our clients and performers. 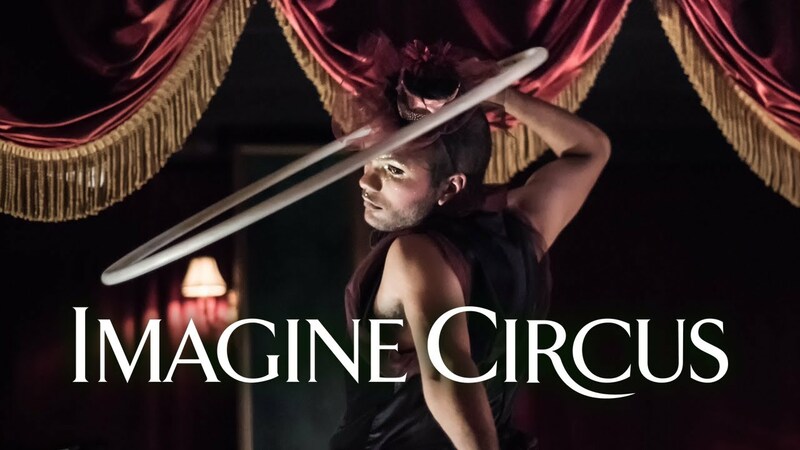 By combining collaboration and cooperation, emphasizing innovation, fostering artistic growth, and creating a platform for self expression, Imagine Circus provides the most high quality cirque-style entertainment in the Carolinas! Technical needs vary depending on your event space, as well as safety considerations and rigging requirements. Rigging in Your Event Space: We provide event space rigging consultation with our professional rigger and utilize span sets and rigging clamps depending on the specs of your rig points.